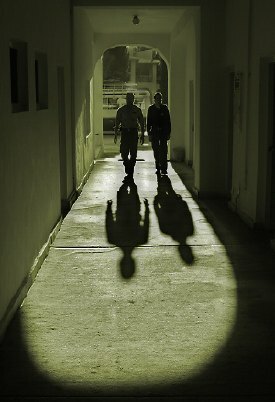 Today – June 11, 2011 – All Things Pakistan turns five years old! Today, sitting in Lahore, Pakistan, I write in the realization that it is now time to move on. This is not a ‘Good Bye’ post – it is, in fact, a ‘Thank You’ post. Nor do I want this to be a ‘looking back’ post – I would much rather that it be a ‘looking forward’ post. For me personally, it is time to move back to Pakistan. For ATP, the blog, it is time to turn off the lights. 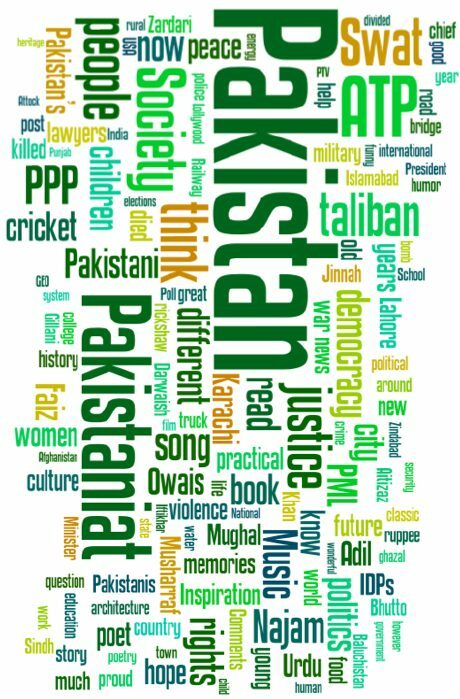 Five years ago we set out with the mild ambition to have a conversation with a few friends on all things Pakistan – from the profound to the trivial. What followed was a more intense, more engaged, more elaborate, and more fulfilling conversation than we could have ever imagined. Well above 10 million visits later, it is now time to move on. But we promise that we have no intention to tune out. We know that this conversation will continue. This was never our conversation, it was yours. We intend to keep listening in. We hope you will let us do so in all the myriad forms and formats that have now become available for this exploration of our Pakistaniat – our Pakistaniness – to thrive. We have chronicled our own story and evolution in our posts (the ATP Credo, the Tangay Walla post, 1st anniversary post, 2nd anniversary post, 3rd anniversary post, who reads Pakistaniat post, 4th anniversary post) and now is not the time to repeat those arguments or even to look back. I can say with some pride and great joy that we have had some small part in the construction of an important conversation. It has not always been an easy conversation. Our national predicaments have made it an often sad and occasionally angry conversation. But it remains a vibrant – and vital – conversation. We hope that in these five years ATP has contributed some to this conversation, and has contributed to it positively. So, today, I write in gratitude. Thank you for your companionship. Thank you for your patience. Thank your for dropping by. Thank you for making this your own. Today, we are happy in the knowledge that the conversations we had wanted to seed are thriving. Technology has provided an array of new formats – from facebook to twitter and beyond. There is a mushrooming of blogs and formats, and we hope that in some small way we have contributed to them. We know we have thrived and found sustenance (and ideas) in this new and bold world of Pakistan’s Blogistan. We thank our blogging colleagues, our many many writers, and our even more many readers for the excitement they have added to our lives. I realize that the timing of this will lead many of conclude that it has something to do with my own move. While the two are not unrelated, they are actually less related than you might think. It was, in fact, back in November 2010, that Owais Mughal and I had decided that we would do this on this date and in this manner. Owais had already moved to Singapore and my own professional commitments had begun to mount. We did not wish to end with a whimper nor just fade out abruptly. Five years seemed like a good innings to both of us. Let me take this moment to thank Owais for his support and companionship. More than anyone else he has made ATP possible and allowed it to last this long. Without him, it would have faded long ago. And without him it would have been not just a lonelier but also a much less interesting journey. Thank you, Owais, my friend. Thank you for everything! (As an aside, I should add that Owais and I had never met until fairly recently and for years ran this together without even having met – such is the magic in Blogistan). Do I have regrets – yes, but too few too mention. I wish we had written fewer obituaries. I wish we had not had to talk about national angst and tragedies as much as we had to. I wish we more time to write all the posts that remain unwritten in our personal lists – more pleasant things than those that were floating in the daily headlines. Yes, I do also wish that some of our readers had been a little more kind to us and to each other in their comments – but, I also realize that we live in unkind times and the viciousness of our environs can sometimes seep into our own language and thoughts. More than anything else, I wish the unkindness of our times will become less, allowing us to be a little more considerate to each other than we sometimes seem to be. Good byes, they say, should never be long. But this is not a good bye. So, until we meet again, dear friends, take care; khiyal rakhna. Always good to receive something from All Things Pakistan.The original authors in spite of their very busy daily schedule should give a serious thought to reactivate this blog with renewed energy and ideas,We overseas Pakistani reconnect with Pakistan with sweet memories through this blog.